Considering the importance for construction of an Arunachal Guest House at Shillong in order to cater to the need of the Arunachali Patients and students studying at Shillong, State Govt had released Fund of sum of Rs 35 lakhs for payment of one time premium of land revenue cost for allotment of land for establishment of new Guest House near North Eastern Indira Gandhi Regional Institute of Health & Medical Sciences at Shillong, Meghalaya. The amount has been allotted to the Department of Health & Family Welfare, Govt of Arunachal Pradesh from over all provision of Budget Estimate 2016-17. The department has been strictly instructed to utilize the above fund only for the purpose allotted and not to divert the fund for any other purpose and to incur the expenditure by observing all the codal formalities. 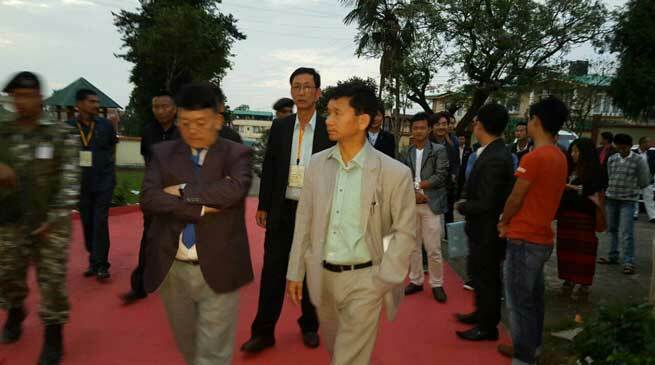 It must be noted here that during the recent visit at Shillong on May 27 last, Chief Minister Pul along with the Deputy Chief Minister, Kameng Dolo had inspected the Govt land for the establishment of Arunachal Guest House at Shillong. Chief Minister Kalikho Pul felt that the Arunachali patients prefer NEIGHRIMS at Shillong for their medical treatment due to presence of state of art medical facilities at NEIGRIHMS and comparatively cheaper cost of treatment. As a result, there is rising visitors of patients at Shillong besides the students from the state for study as the place has been an educational hub for the North East Region since past till now. The Guest House once come up will provide a decent accommodation for the Arunachali Patients and students studying at Shillong.